We take good care of our passengers on all our bus journeys. 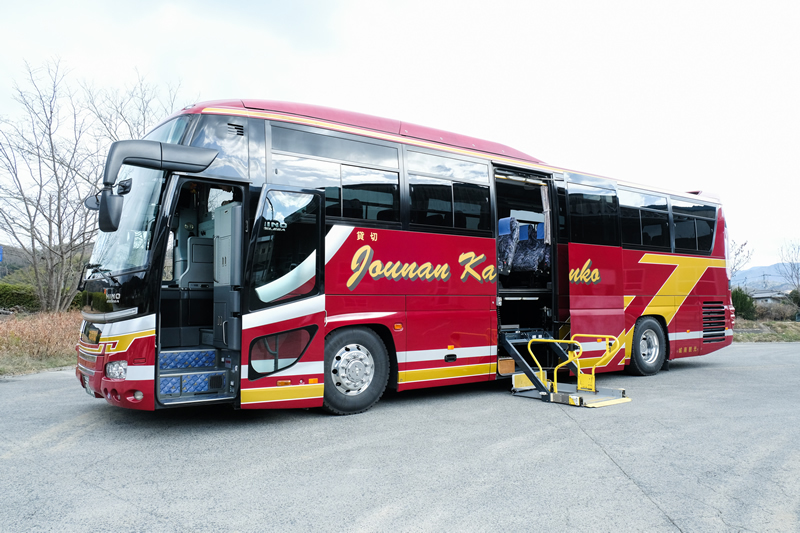 Chartering our bus gives you the freedom to customize your journey. 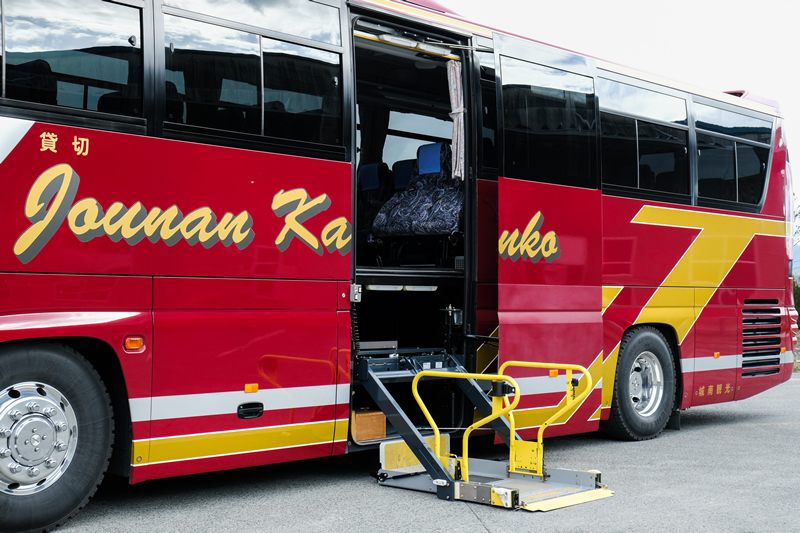 We have a selection of buses available to you including with wheelchair access, spacious seats, , and one with a toilet. We take care to equip our buses with state-of-art facilities to give you a stress-free journey. You can save time and travel comfortably on our charter buses, without the stress of being behind the wheel yourself. 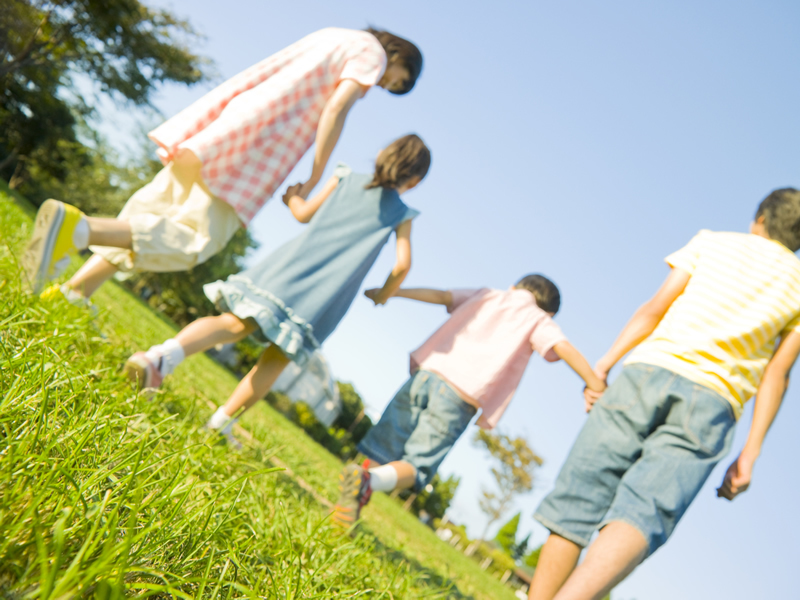 We are very conveniently located close to Hiroshima Airport. We can arrange everything for your trip. You may rest assured that we can arrange everything from hotel bookings to travel itineraries countrywide as we are an officially registered travel agent. With our expertise in the travel industry, we are happy to give you advice on your travel plans. Safety is paramount in the transport business. We keep improving our safety policy ensuring our customers have a safe and comfortable trip. You can take advantage of our charter bus to relax and enjoy your journey with your friends and family. 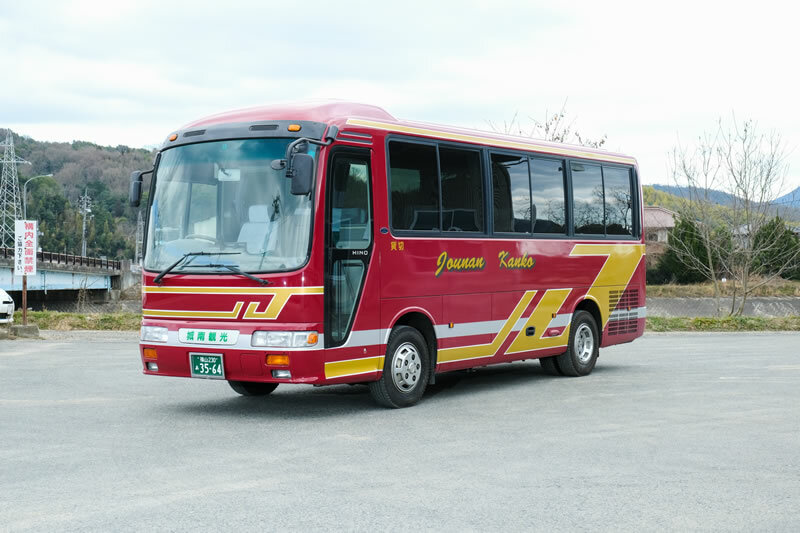 We have a wide range of buses to suit our customers’ various group sizes and journey types, such as the bus with wheelchair access and the saloon bus with Karaoke, beer server, microwave cooker, etc. 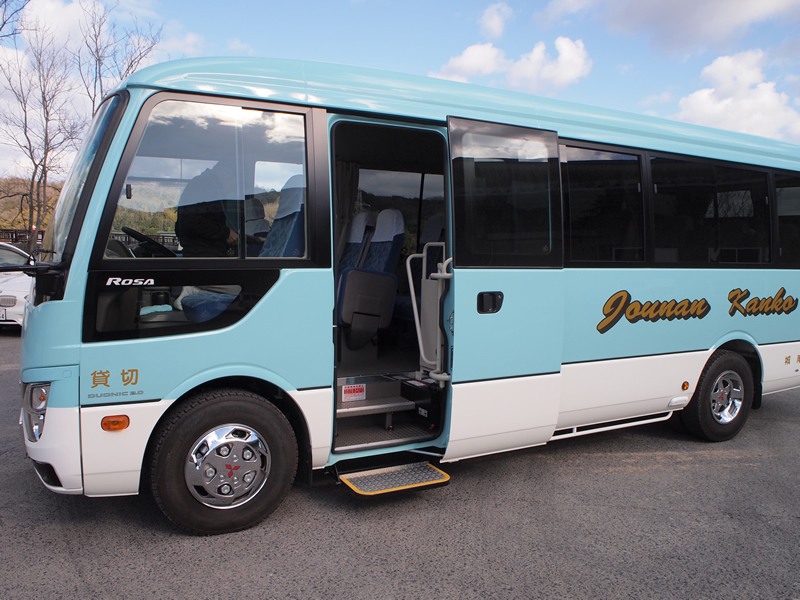 The one with the wheelchair access is in particular demand as there are only a few such buses available in Hiroshima. So, you need to reserve early if you would like to charter one from us. This type of coach is for corporate and schools hire. 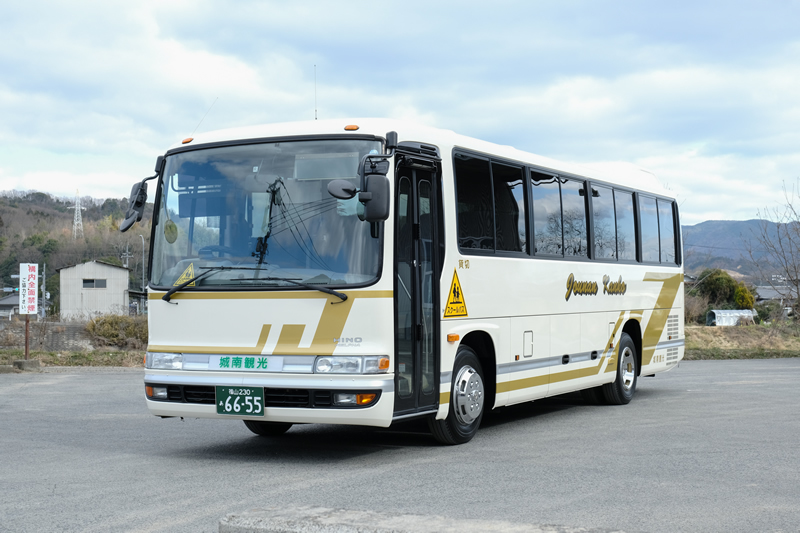 It is used for children to/from nurseries or perhaps schools for students with special needs, business people for their training or even regular shuttle services from hotels to the airport. 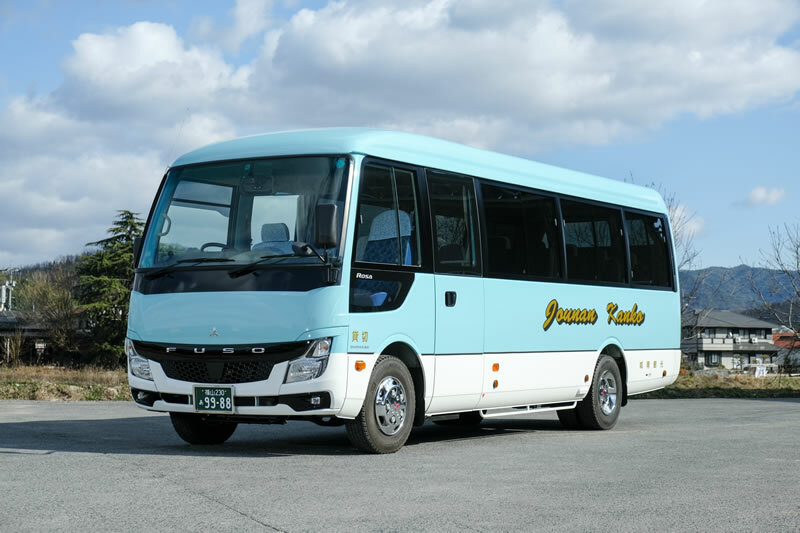 We provide the service extensively around Hiroshima Airport and as far as Hongo, Takehara and Onomichi city area. Our conscientious drivers are committed to providing a safe and comfortable journey for all our customers. We will be delighted to take you around various places of interests such the Atomic Bomb Dome, Itsukushima Shrine (both are World Heritage Sites) and the scenic spots of the Seto Inland Sea, which is becoming known for its beauty by overseas visitors. We have longstanding expertise in making travel arrangements such as booking hotels and meals and are happy to help. Please look at some of our package plans from here. 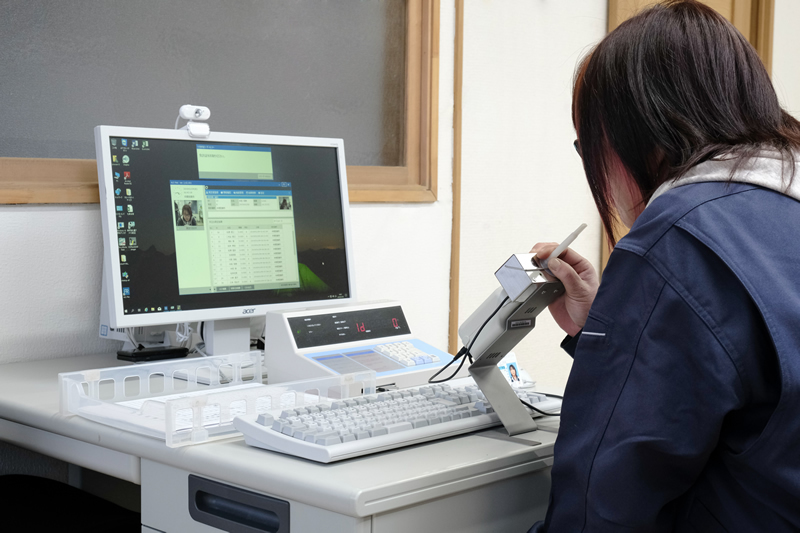 You can reach us by telephone, fax or e-mail. We will discuss with you the details once we understand your requests. So, please feel free to contact us first. 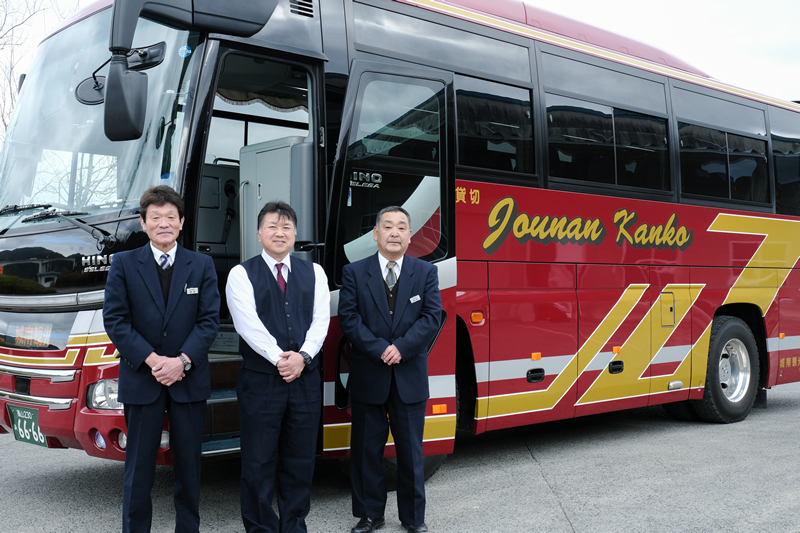 JOUNAN started operations for more than 25 years at the same time Hiroshima Airport was held and has been working with customers as a part of local companies and airport users. 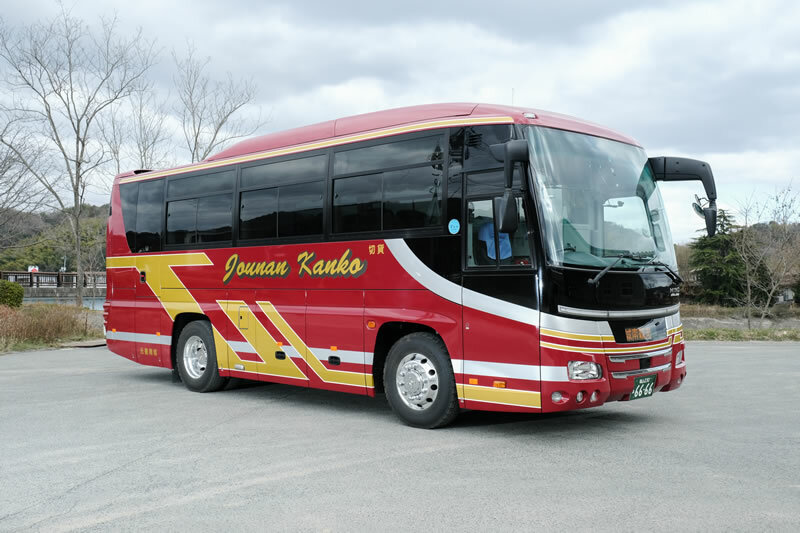 Safety is a top priority in the transportation industry。We strictly carry out safety management and deliver safe bus trips to everyone and we are always doing business with ambition so that we can deliver comfortable bus trips. 1.What kind of bus do you offer for our purpose? 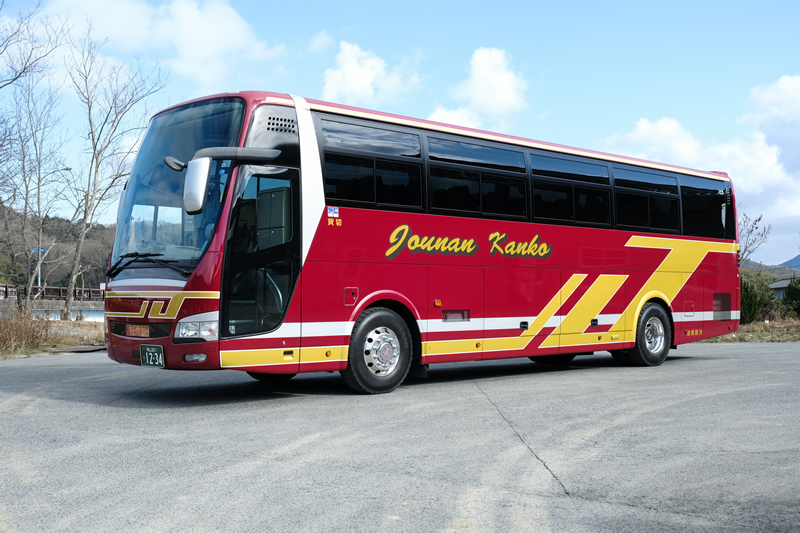 We have a good selection of buses depending on the number of people traveling. For details including maximum passenger numbers and facility information, please see our list. 2. Where does your bus travel from? 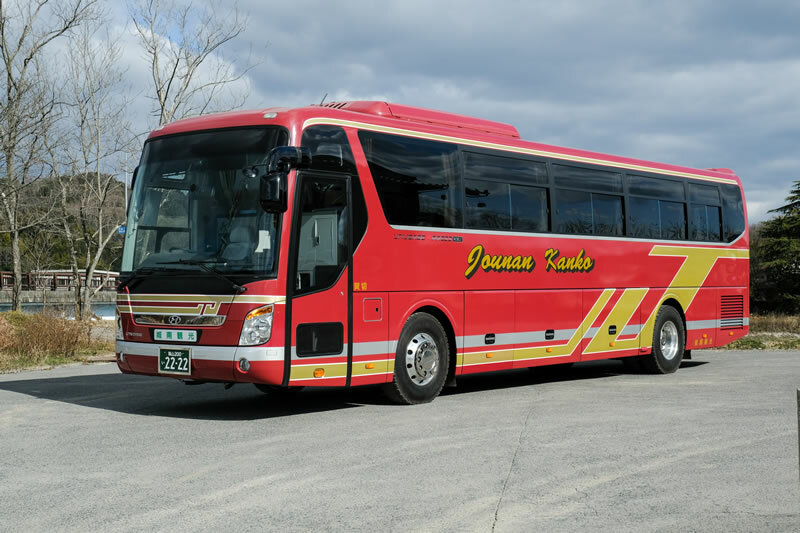 The journey can basically start from anywhere inside Hiroshima Prefecture. For details, please contact us by e-mail or by telephone (084-886-6183). 3. Tell me more about what you charge. 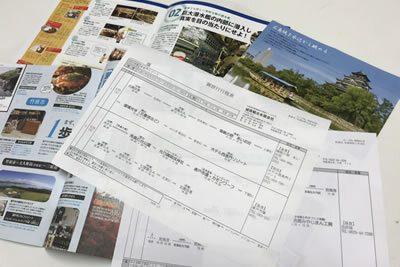 It will all depend on the departure date, destination and the type of bus you choose. If you know the approximate schedule and number of people to transport, please let us know by e-mail or by telephone (084-886-6183). 4.What is included in the price? Our price includes bus hire, fuel charge, driver etc. Bus guide, tolls (such as on highways), parking, and accommodation costs for the driver will be extra. 5.What is the payment method? We will send you an invoice by post after you have booked the service. Please send the money by bank transfer to our designated bank account in advance at least 7 days before the travel date. Bank transfer charges will be payable by you. 6.How early can we book the bus? 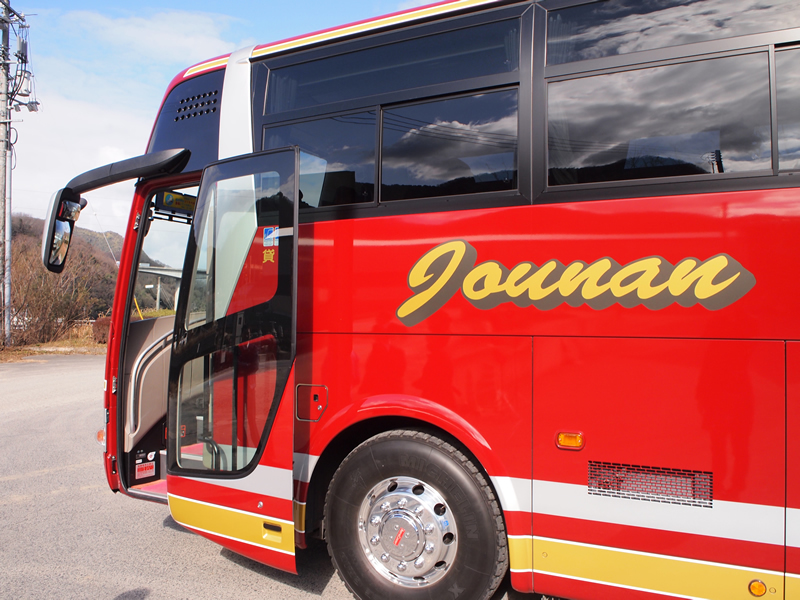 We take bookings for bus charter up to one year in advance. If you wish to make the reservation earlier than that, please let us know by e-mail or by telephone (084-886-6183). 7.What is your cancellation policy? Do you charge if I cancel the booking? 8.Do you have English-speaking staff? Yes, we have English-speaking staff. We are committed to protecting the private information of our customers. Their personal information will be safeguarded and will not be disclosed to a third party.